Prep, serve and store. Designed to fit comfortably when reaching in for ingredients, the elliptical shape is also handy for pouring liquids. 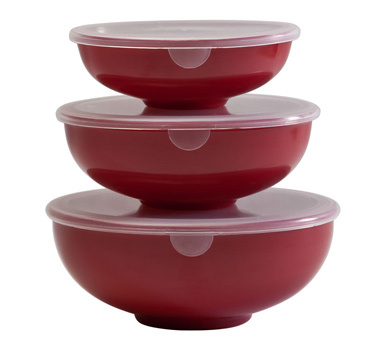 These bowls are also ideal for serving snacks and dipping sauces as well as for storage. 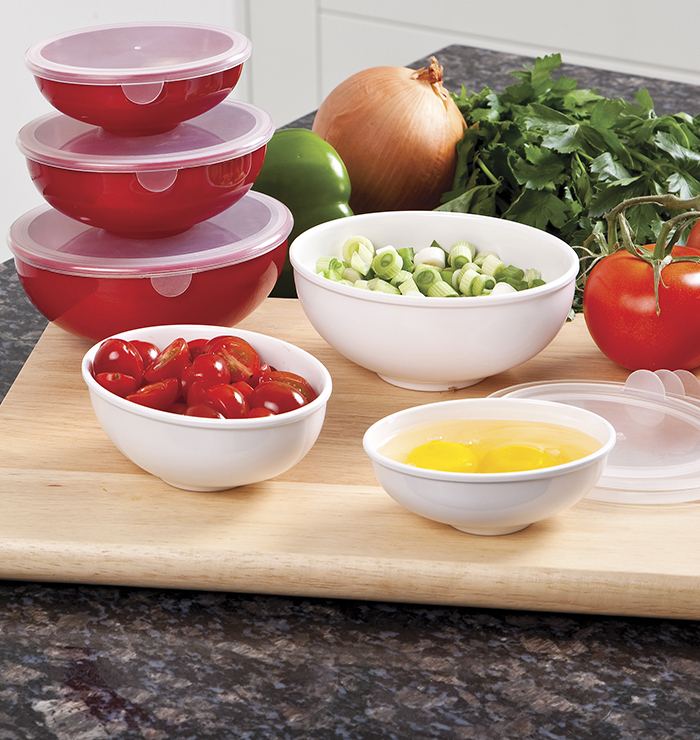 They are heat resistant to 360F and dishwasher safe. Set includes a nesting 2-oz., 4-oz. and 8-oz. 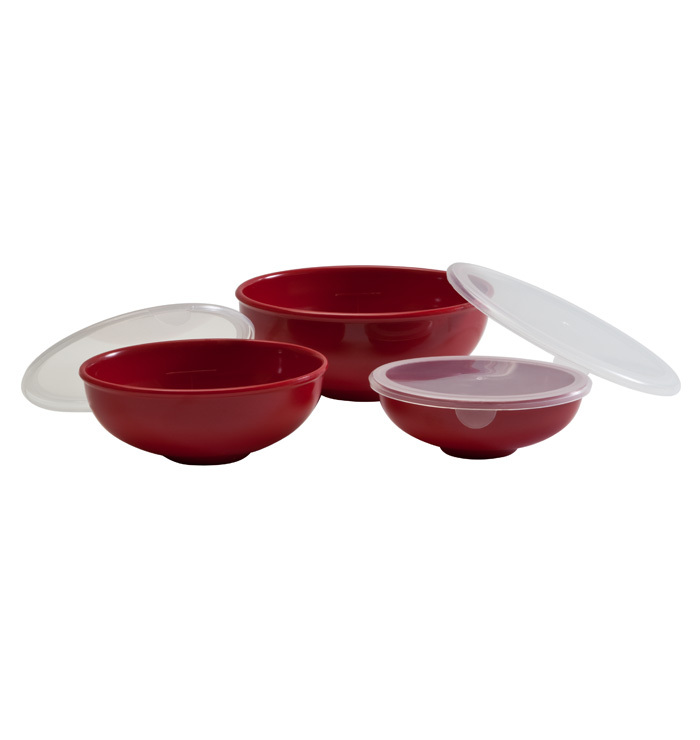 prep bowl, each with a lid. 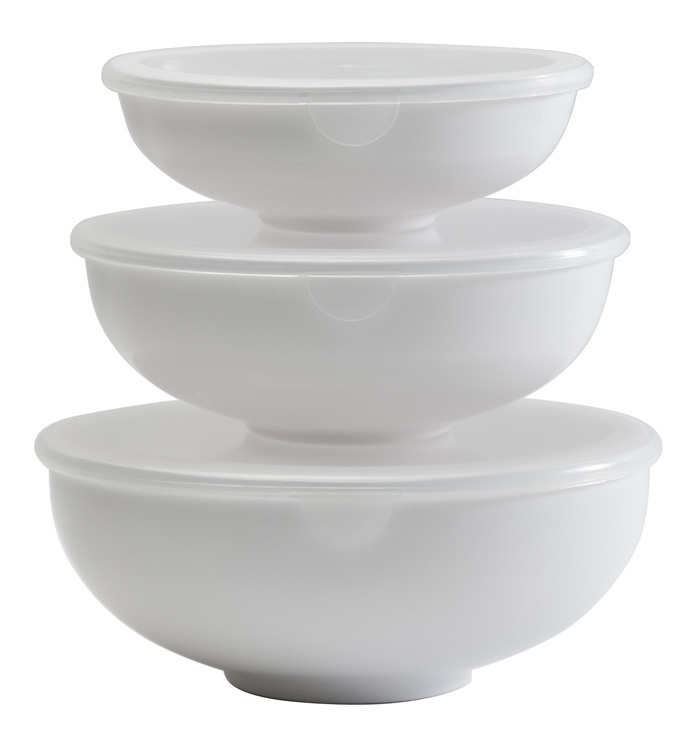 Nested bowls measure, length: 4.7", width: 3.6", height: 1.8".